Some of you sailors out there may have heard about the “clipper round the world yacht race.” For those of you who don’t know, it is the world’s longest ocean race. 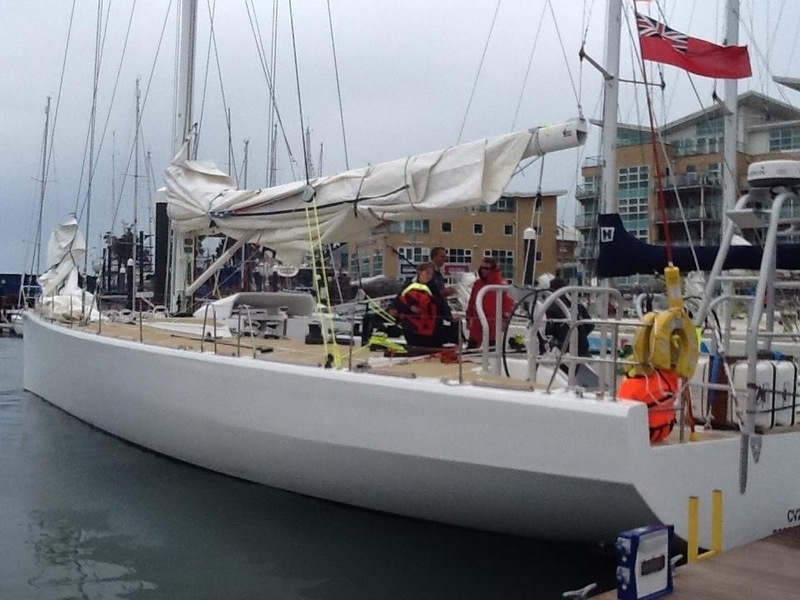 12 yachts sailing 40,000 miles, across 13 countries over 15 races. It goes through the roughest oceans and, I imagine, sees some of the best sailors around. Luckily for some, to be a part of the race you don’t have to do the whole thing. Although it claims to have only one winner, I imagine just being able to e a part of it is a win in itself! My name is Michael Bishop. A friend and fellow water lover of Auds and Ryan. I share many of their aquatic passions, and our adventures often overlap (stand up paddle boarding at Moreton Island or anchored up somewhere on my 35 ft catamaran Funhunter). As a sailor of some 40 plus years, most of that self taught, I have always wanted to at some point test myself by sailing in the Southern Ocean, that vast, grey circle of water that covers the roaring 40s. Not such an easy task to get down there, but some 17 years ago I read about one way of doing it. 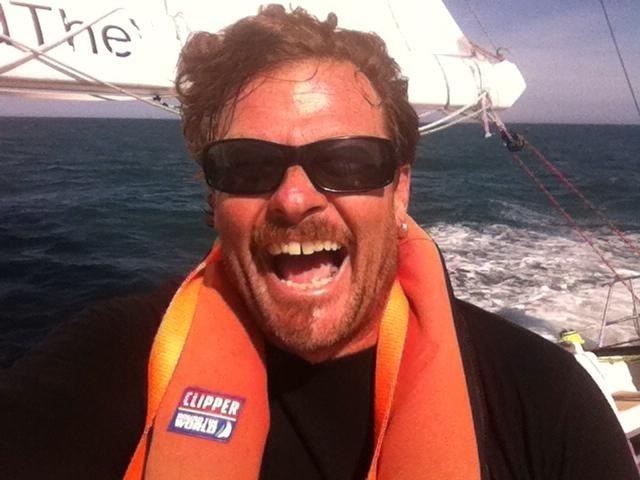 The Clipper race. 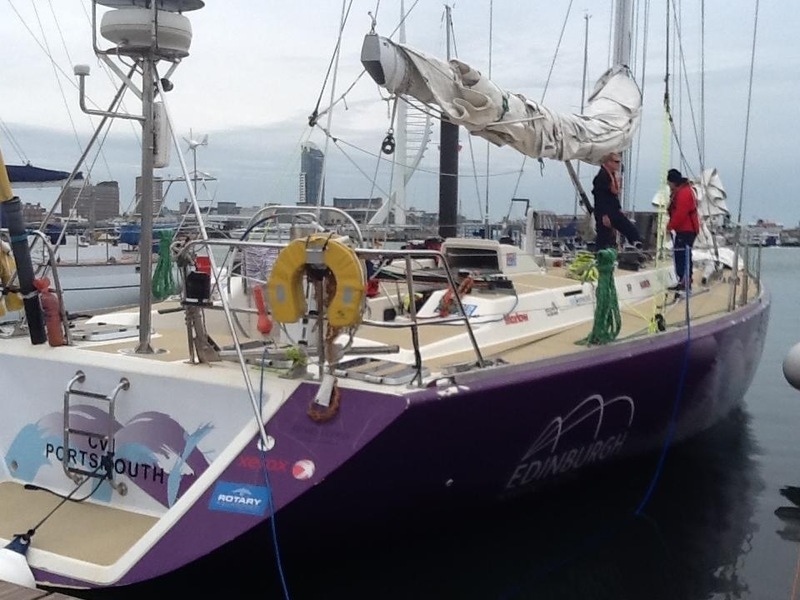 A race around the world where people who may never have sailed in their lives can buy a berth in what promises to be the adventure of a lifetime. As you can imagine, you are not just dropped on a 70 ft race boat and allowed to set off into the sunset. 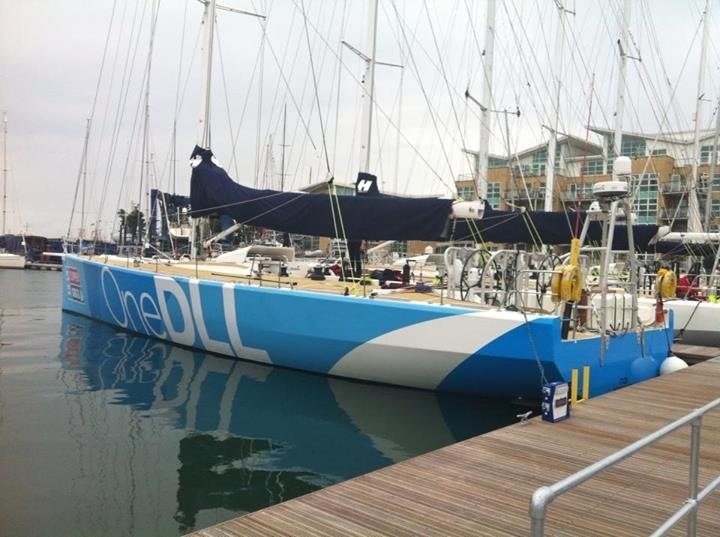 There are 3 blocks of training, each a week or so long, that first introduce you to big boat sailing (and these boats are BIG), then to performance sailing with many evolutions (rig or sail changes), and finally to offshore racing. As mentioned earlier i am a largely self taught sailor, so the prospect of world class training was for me almost as appealing as the race itself. I am now at the end of the 2nd block of training, and have learned so much. tides. In my case it has lead to a fairly laid back approach to sailing safety. Here in the UK, it is a much more serious business. The water can, in winter, kill you in minutes. They have tide races at 4-5 knots, fog, very busy shipping lanes, lots of rain and wind! Lots of wind. After an early afternoon introduction to the boat and its component parts, we set off the next morning into a bracing gale. 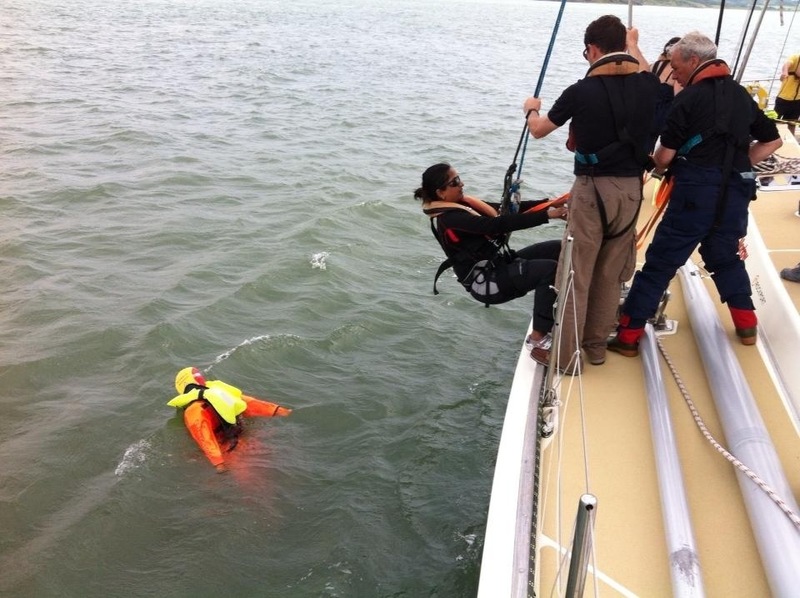 Top wind speed recorded in the boat was 56 knots ( around 100 kmh). I would never think of heading out for a sail on such a day, yet there were boats everywhere. Many small sailing boats, sails reefed down to tea towels, but out there anyway. After that, I thought we could face anything in these boats. 2 days later we were in fog so thick that you couldn’t see 200m in any direction and we came very close to both hovercrafts and cruise liners. 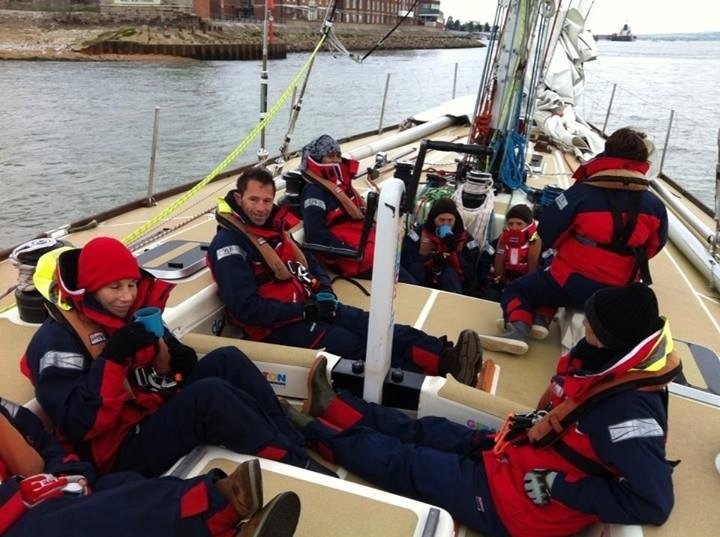 The biggest surprise for me was how much of a team sport sailing a big boat is. You need a minimum of 4 and preferably 6 just to tack. Dragging the 120 kg headsails out, up and across the decks in a heaving sea is incredibly physical and impossible for less than 3 or 4 people. The magic of the Clipper experience is that you get great instructors who teach everyone how it all needs to be done. After a few practice ones, the crew were getting it all together. Next surprise was the loads involved in such a beast. Grinding winches, hauling up sails and trimming sails the size of tennis courts is hard work, and this leads to you getting very hot and sweaty, then you sit for a while and start freezing, so getting the layering right is an art form. We have done numerous man overboard drills, racing sail changes and everyone gets a chance to lead the evolutions which is actually a little complex. You need to direct everyone in what is a ballet, that keeps speed up and safety at the forefront (the boom weighs 500 kg). 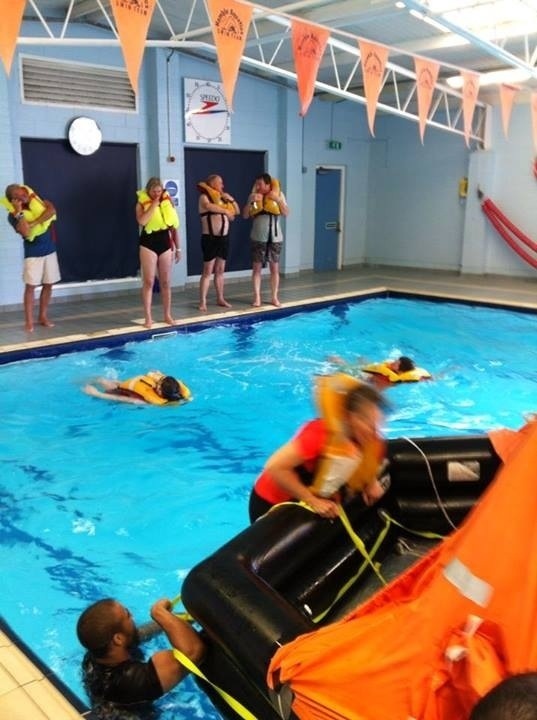 Another part of the training is a sea survival course, which involved immersion, life jackets, abandoning ship and life raft drills. Skills I hope never to have to put into practice, yet which will never leave. Whilst all of these new skills are great to learn, and I know that this has made me a better sailor, the highlight has been meeting the fascinating people who sign on for this event. From all over the world, men and women have responded to the opportunity to participate in the adventure of a lifetime. Young, old, sailors and first timers, they are all amazing and as you sit on deck either under a giant moon, grey skies, or in a howling gale. You get to know people, their stories, their hopes, fears and dreams. For this is an adventure both within and without. Just the sort of thing that Auds and Ryan would love, and I hope perhaps you too. What I gather was a temporary low in Michael’s experience. I can only imagine the disappointment he might have felt, thinking his leg was broken and his dream to be a part of this race was over. A quick trip to emergency resulted in being told he was allowed to do whatever his pain threshold would allow. So on he pushed. Very inspirational. Thank you Michael for sharing your story. I hope we can hear about his leg of the race (no pun intended) when the time comes. Totally jealous! 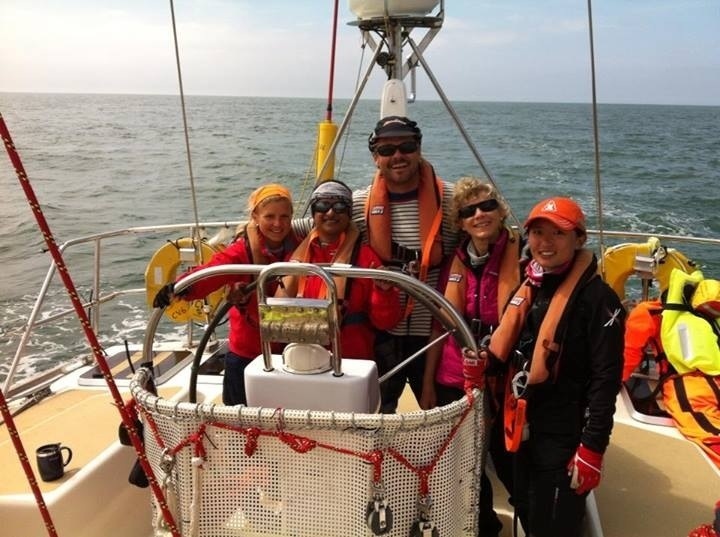 I watched the clipper fleet arrive and leave from San Francisco last year, even managing to meet a few of the sailors! I can only dream of doing it though, well for now anyway!